The french fries line can product French fries,potato chips and potato slice. 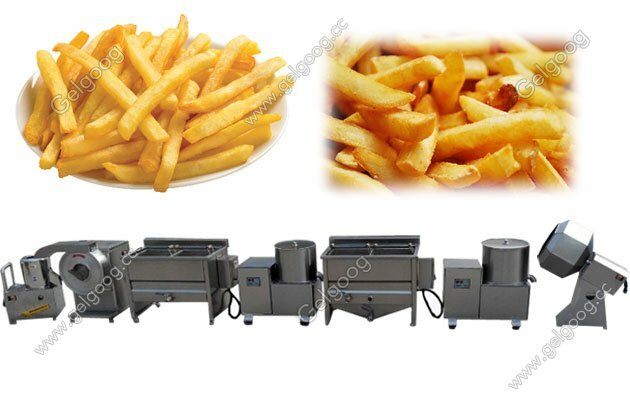 The french fries making machine line is best choice for who want start fench fries business. 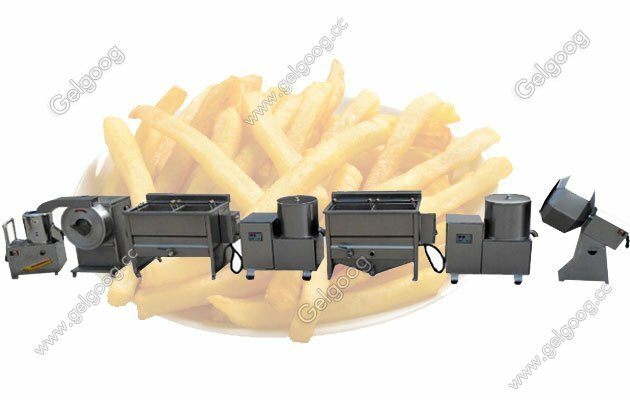 Semi-auto French Fries Making Machine Small Scall For the french fries making machine, it is with capacity of 70kg/h,we also can customize the capacity according to your need.The french fries making machine is for sale now, with best price. 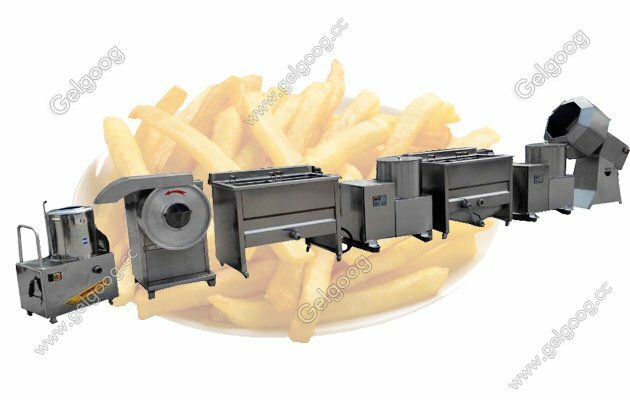 It is best choice for who want start fench fries business which not very bigger scall business.This production line can product French fries, potato chips and potato slice. What machines are included in the automatic french fries making machine. 1. Cleaning and Peeling Machine: cleaning and peeling process at one time, high efficient and low consumption. 2. Potato Slicing Machine : cut into strip,flake and julienne shape, adjustable cutting size. 6. De-oiling Machine: use the centrifugal, overcome the shortcoming of botheration.